For all those people who are not familiar with the world of engineering, the words electrical engineer evoke the image of a worker surrounded by cables and plans with electrical installations. However, this branch of knowledge has a much broader field of work. In fact, it is one of the sub-disciplines of engineering with more historical history. By way of definition, we could say that electrical engineering is responsible for the systems of generation, transmission and distribution of electricity. But what tasks do these professionals perform in their day to day? As we have already pointed out, it is necessary to emphasize that it is a multidisciplinary work, so the reality goes well beyond a conventional dictionary definition. Be that as it may, it is convenient not to confuse electrical engineering with electronic engineering. Unlike electrical engineering, electronic engineering is responsible for the development and study of circuits that are governed by much lower voltages. Interesting? Well then we tell you more. What are the tasks of an electrical engineer? Coordinate all the stages of an electrical system. That is, to study the possible modifications from an economic, social and optimal operation point of view. Control energy generation and utilization equipment. For example, large generating machines and power transformers. Design, build and maintain distribution networks. Design and direct the installation, operation, maintenance and repair of electrical systems, motors and equipment. Perform the analysis, design, simulation and control of electrical systems with the assistance of computers. Design and apply tests to electrical equipment and materials. Manage human and material resources in electrical works. Integrate to interdisciplinary work teams. Provide advisory services and expertise. Participate in teaching and research activities. 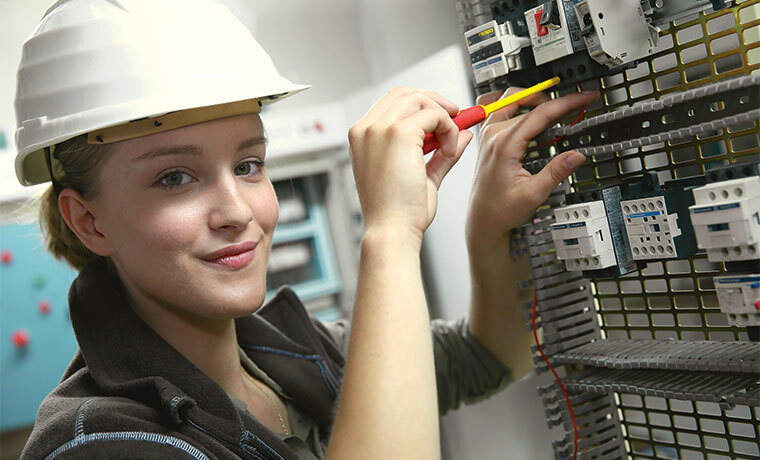 Participate in the manufacturing and production processes in the electrical industry. What skills should an electrical engineer have? Skill in the subjects of mathematics, chemistry and technology. What work opportunities does an electrical engineer have? Automation: They are responsible for defining the type of hardware. In addition, they project the logical operation of the system in order to eliminate repetitive tasks. Construction Industry: Just as plans are needed to establish the structure of a building, these schemes are also essential to carry out an electrical installation. In this sense, it is essential to take into account safety regulations in the construction world. Telecommunications: In this case, they are in charge of designing data transmission systems or images.